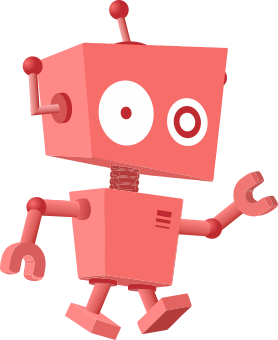 Size of this PNG preview of this SVG file: 647 × 599 pixels. Other resolution: 259 × 240 pixels. 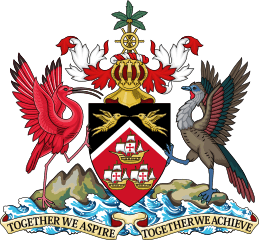 Description: Coat of Arms of the Republic of Trinidad and Tobago The palm tree at the top of the coat of arms was taken from Tobago’s coat of arms before it was joined in political union with Trinidad. The wreath represents the crown of the monarchy of the United Kingdom, Trinidad and Tobago’s colonizers at the time of independence. The shield has the same colours (black, red, and white) as the nation’s flag and carry the same meaning. The gold ships represent the Santa María, La Niña, and La Pinta: the three ships Christopher Columbus used on his journey to the “New World”. The two birds on the shield are hummingbirds. Trinidad is sometimes referred to as the “Land of the Hummingbird” because more than sixteen different species of hummingbird have been recorded on the island. “Land of the Hummingbird” is also believed to have been the Native Amerindian name for Trinidad. The two larger birds are the Scarlet Ibis (left) and the Cocrico (right), the national birds of Trinidad and Tobago. 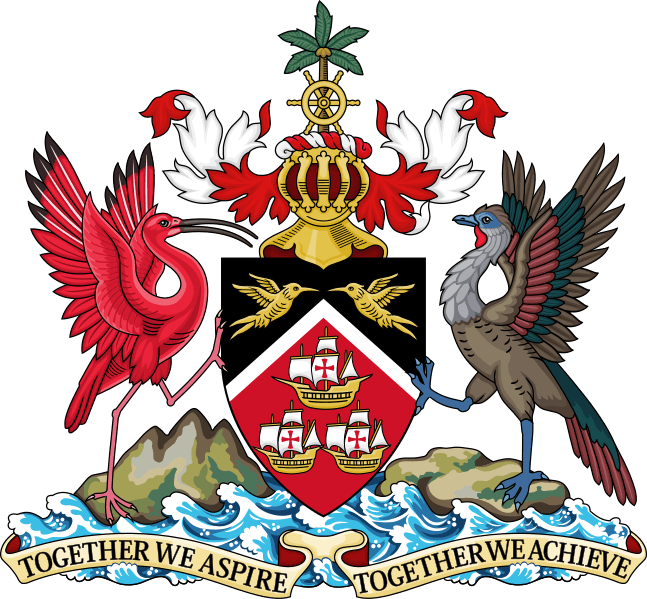 Below the Scarlet Ibis are three hills, representing the Trinity Hills in southern Trinidad, which, it is believed, convinced Columbus to name the island after the Holy Trinity. The island rising out of the waters beneath the Cocrico represents Tobago. Below these birds is the nation’s motto, "Together We Aspire, Together We Achieve." Adopted in 1962. Permission: I, the copyright holder of this work, hereby publish it under the following license: This file is licensed under the Creative Commons Attribution-Share Alike 3.0 Unported license. You are free: to share – to copy, distribute and transmit the work to remix – to adapt the work Under the following conditions: attribution – You must attribute the work in the manner specified by the author or licensor (but not in any way that suggests that they endorse you or your use of the work). share alike – If you alter, transform, or build upon this work, you may distribute the resulting work only under the same or similar license to this one. http://creativecommons.org/licenses/by-sa/3.0 CC BY-SA 3.0 Creative Commons Attribution-Share Alike 3.0 truetrue This image shows a flag, a coat of arms, a seal or some other official insignia. The use of such symbols is restricted in many countries. These restrictions are independent of the copyright status.